Ever since I wrote my last post about sneezing and philtrums I've become obsessed with philtrums. So if you meet me soon I'll probably not be listening to a word you say and channeling my inner face reader and figuring out who you really are through your philtrum. Not to worry I was only kidding. I'm not even that strange. 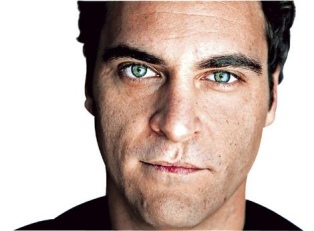 But it got me thinking about Joaquin Phoenix. I have always wondered about his scar which infact is a mild form of cleft lip. When a baby is still in the mother's womb, the two sides of the face form separately and are joined together in the end at the philtrum - which is the last part of the face to get formed. And when the two sides of the face fail to fuse together properly, a cleft lip is formed. I had seen it on the Discovery Channel a long time ago and it is quite fascinating. Clearly I could now write medical journals. But that's not what's weird about Joaquin Phoenix. I wikied him and learnt a whole lot about him. Firstly I love the sound of his name. Joaquin. Joaquiiiin. I could say it all day. It would really help me exercise my facial muscles. Then did you know that his actual surname is Bottom? His family changed it to Phoenix to mark a new beginning when they left the Children of God cult in South America and moved back to the States. His siblings all have names from nature. Which made him want to call himself Leaf. Because he liked raking leaves. Firstly who likes raking leaves? And secondly who names themselves leaf because of it? Luckily Joaquin changed it back to Joaquin (I can keep saying it. My skin's already looking better) at age 15 when he stopped liking raking leaves? Joaquin is the Spanish version of the Hebrew name Joachim. Saint Joachim was the father of Mother Mary. I love how wikipedia leads you to such interesting information when you are only reading about an actor and his philtrum. Now back to the face exercising. You sort of look like you're doing Lamaze breathing but so what.